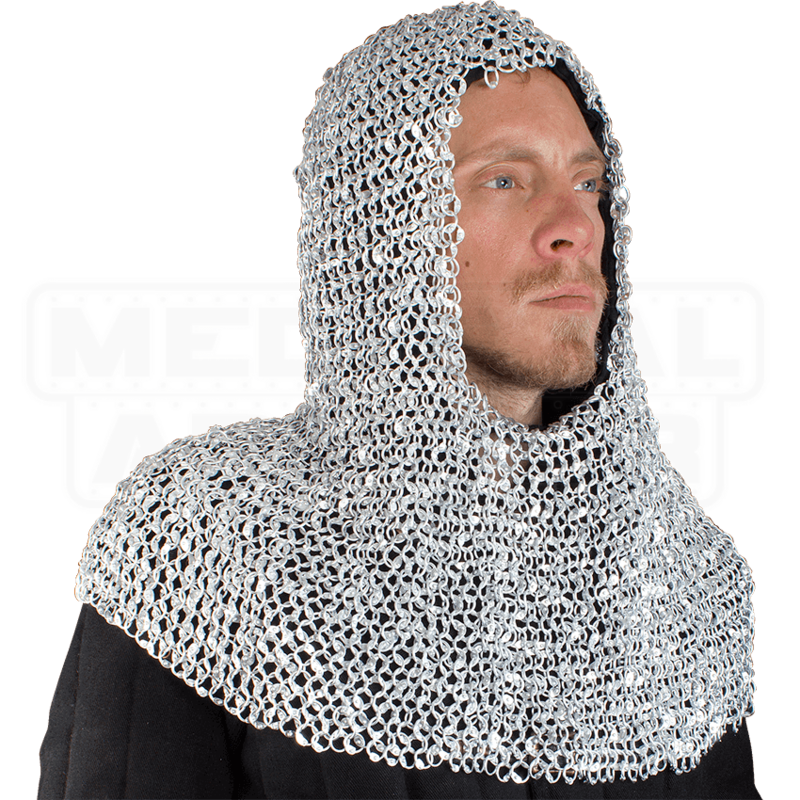 A chainmail coif is an essential piece of any medieval knight ensemble, and our Riveted Aluminum Chainmail Coif makes a great option for fulfilling that need. The mail hood offers protection to the head, neck, and shoulders. Measuring 9mm in diameter and 1.6 mm thick, the links of the 14 gauge aluminum chainmail are connected in a riveted style, offering a solid construction that goes well with medieval ensembles. This aluminum coif works great for LARP events and historical re-enactments with its authentic look. Whether you are dressing as a medieval knight or any other kind of Renaissance warrior, be sure to check out this crucial piece of chainmail armour.